Since the project is a multi-module project, Maven will generate two project: one for each submodule. There will be no Eclipse project for the root POM, since it does not produce any artifact. Two project will show up in the list: jetexpress-pa and jetexpress-portal. 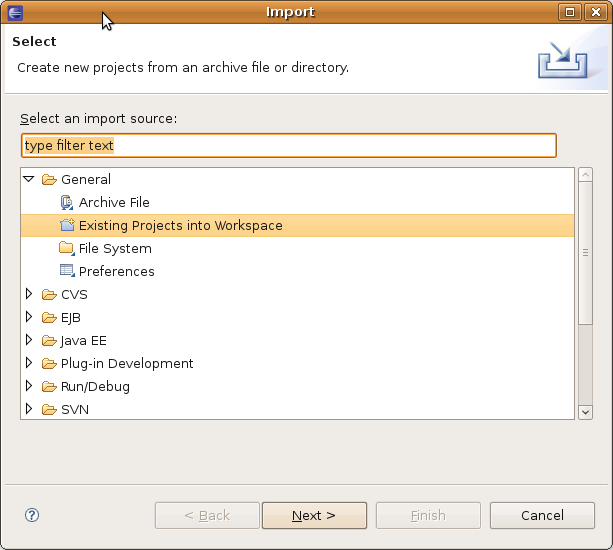 Import both projects. 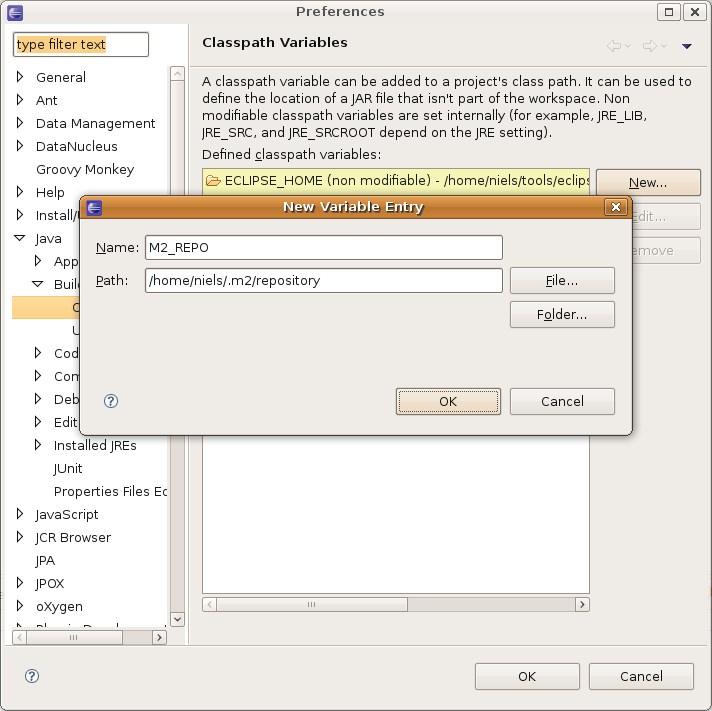 Next, set up a classpath variable to point at your local Maven repository, effectively resolving the jars for Eclipse. In Eclipse, go to Window->Preferences->Java->Build Path->Classpath Variables->New and enter the location of your local Maven repository (typically this is inside a .m2 directory in your user home/profile directory. 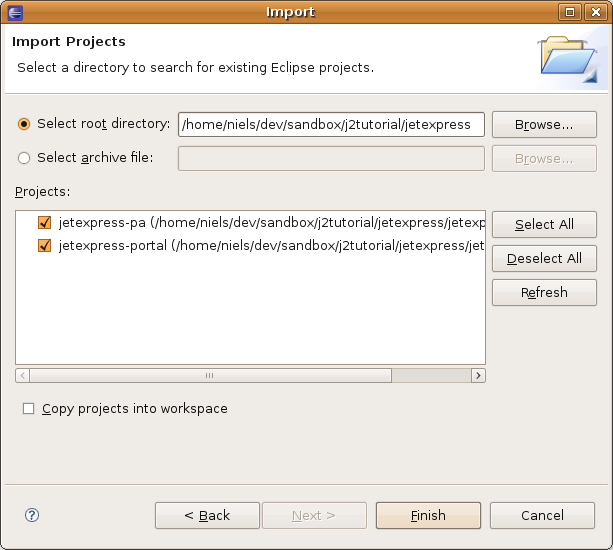 You are now ready to start developing with Eclipse, and create your first portlet!